The ReconArt implementation team was awesome. TekSavvy received the level of sophistication that we were hoping for at a price that was reasonable and we have not regretted the choice. 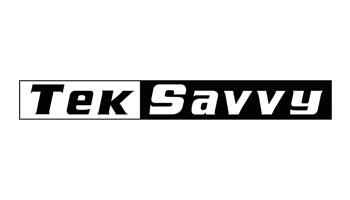 TekSavvy Solutions Inc. (TekSavvy) is one of Canada’s leading independent telecommunications service providers. Founded in 1998, TekSavvy provides residential and commercial internet and home phone services and more recently has developed a fixed wireless network which is used to provide high-speed internet access to underserved rural areas, TekSavvy has offices in Chatham, Ontario, and Gatineau, Quebec. Prior to adopting new technology, TekSavvy was using Microsoft Excel to perform its monthly reconciliations. However, the single workbook created to handle them grew to be very cumbersome to deal with. Additionally, the way it was set up back then, only one person could be in it at a time. There would be errors and, sometimes and most likely because the workbook was so large, Excel would crash before the document could be saved. This would result in data loss plus all the ensuing wasted time to recover it. As TekSavvy was expanding rapidly, the company knew it needed to get beyond Excel which wasn’t able to keep up with the level of activity that the company was seeing. Therefore, TekSavvy went out to market looking for a tool that would automate its month end close and account reconciliations. Angela Bilyea, Finance Leader at TekSavvy Solutions, evaluated numerous providers but most of them did not meet Teksavvy’s needs. Either the software solutions were extremely complex to set up and administer, or the functionally was too simplistic for TekSavvy’s growing requirements. Of course cost was always a factor as well. ReconArt was selected as the fastest growing provider of automated reconciliation software solutions to deliver intuitive reconciliation functionality for the period close process by keeping all the work contained within a single platform. We thought we were getting great value with ReconArt™. It’s easy to use with a very quick learning curve. All of our users could just go in and figure out what they had to do with minimum training. The ReconArt implementation team was awesome. TekSavvy received the level of sophistication that we were hoping for at a price that was reasonable and we have not regretted the choice. The ability to have better control over documentation and having a more formal and visible process flow. The system allows multiple users to be involved in the process and more than one person to be logged into the system at any time. It has allowed the company to bring accountability to different staff members based on their area of responsibility. Teksavvy’s team is empowered to collaborate with full visibility through the automated workflow from preparer to reviewers and approvers, and back to preparers if reconciliations are rejected. Functionality exists where unreconciled items are carried forward into the next month which gives an instant view of what the outstanding issues are by simply running a report. The notifications engine with ReconArt automatically alerts staff to when work needs to be done, thereby ensuring that the close calendar is adhered to. ReconArt provides a full audit trail for tracking and verification. External auditors can easily login into ReconArt to look at Teksavvy’s accurate and timely reconciliations on demand. I like the fact that all supporting documents are protected. Once they’re attached to ReconArt, the reconciliations are carved in stone but always retrievable; you can pull them up and look at them. Supporting documents are in the database, so if I ever want to go back and look at how a transaction was reconciled in the past it’s all right there. In the future TekSavvy is looking to expand its use of the inherent reporting functionality of ReconArt to better track the progress of the period-end close, monitor account history, and collect and present outcomes and status information during and after the financial close process. Coca-Cola Bottling Co. Consolidated (CCBCC) is the nation's largest independent Coca-Cola bottler.